I am back with a quick post to share something that is working to keep me sane. And this one is one that makes me exceptionally happy. See, if you have been reading my blog for a while, you know that I am one of those people that LOVES to do lists. Not only do I love crossing things off them (and may be known to add things to the list that I just finished just so I can cross them off) but I NEED them. My memory has never been the best...then I got pregnant and enjoyed the "pregnancy brain" (that is NO joke friends... that is a for real thing). And now I just have mama brain. But it is ok because Payton is pretty darn smart so it is ok that she stole my brains. My friend Tara (who is a Gators fan...we are FSU fans in this house... she is lucky she is so nice...) creates the CUTEST to do lists and calendars. Last winter we got to talking about how we needed some kind of organized to do list. And she got to making the cutest things ever. So far she has Oct-March in her TpT store. The best part... they are FREE! 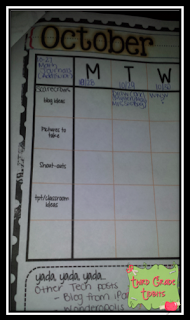 I print the month calendar and 4 weekly pages. 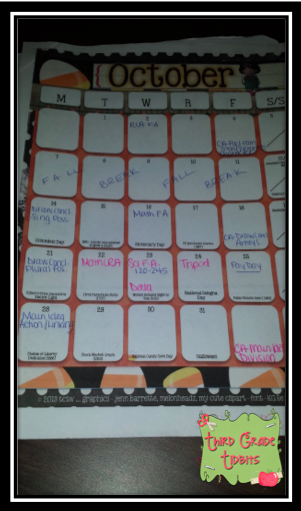 On the monthly calendar I keep track of everything I need to remember for my planning purposes. I write down the big reading and math skills our grade is working on and testing on. I also added our testing. This is great so that I don't have to pull out the pacing guides when I am trying to remember what skills we are doing in the next couple weeks. Then I staple the 4 weekly pages under the calendar to make a little packet. 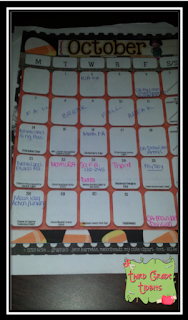 The to do lists vary for the months but you can see what is included on October's. 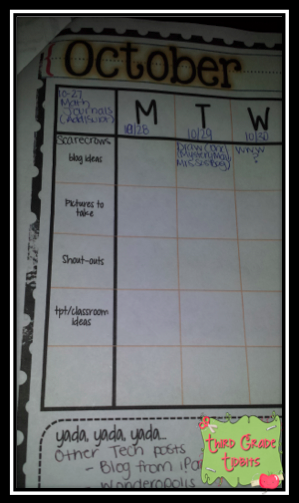 This one is blank for the most part because it is for next week and I haven't planned it all out yet. If you need or just want some cute calendars and to do lists, hop over to her TpT store linked above and snag these awesome freebies. Thanks Tara for making to do lists that make me happy! And because Tara is awesome and makes some super cute things... I want to share about her AMAZING deal going on at educents right now... This is a $20 value that is on sale for $6! Click the image below to check it out! 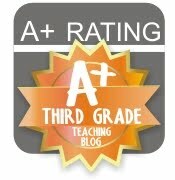 And of course, I have to remind you about the AMAZING grades 3-5 educents bundle. 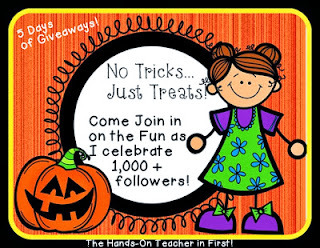 It ends in about 3 days so be sure to stop by and check it out asap! The image below will take you to the bundle!